Abies magnifica var. magnifica A. Murray (1863) is the typical variety of the species. Please follow this link to the main species page for a full description and more pictures. 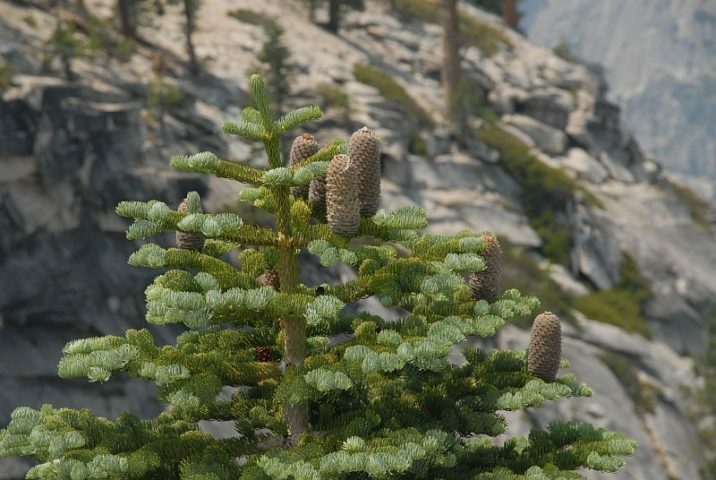 Abies magnifica at Yosemite National Park, California.